General Engineers, Fabricators, CNC Turning & Milling Specialists based in Forest of Dean, Gloucestershire. Hillmann Engineering is a family run business based in the Forest of Dean, with 25 years experience as general engineers and fabricators. We specialise in most forms of precision and general engineering from one-off’s to batch production. As a family run business we can keep our costs low and give our customers an efficient and personal service. 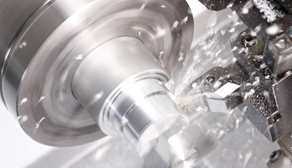 CNC Turning, CNC Milling, Welding, Drilling, Conventional Turning/Milling & Grinding. Contact: Whether you require a large batch production component or a small on-off item, we would be pleased to hear from you.